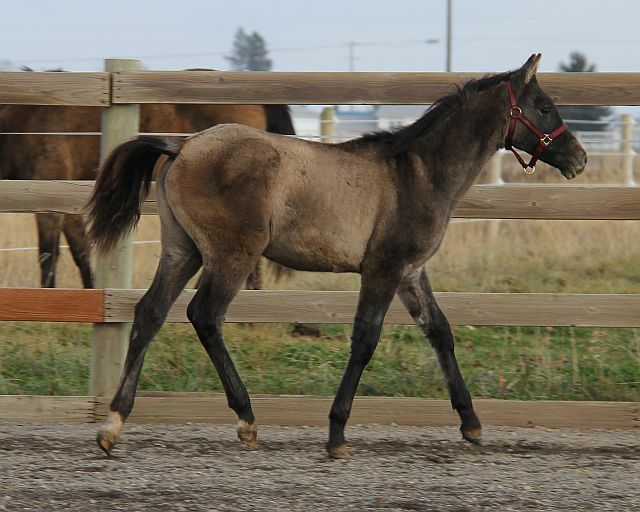 Krisean Performance Horses is a small breeding farm in Spokane, Washington. 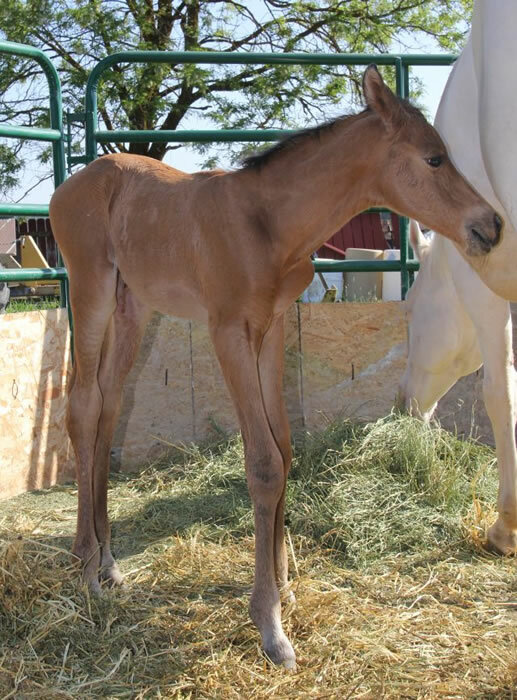 Breeding, raising and racing Arabian racehorses has been our passion for many years and as a small farm we have raced well. 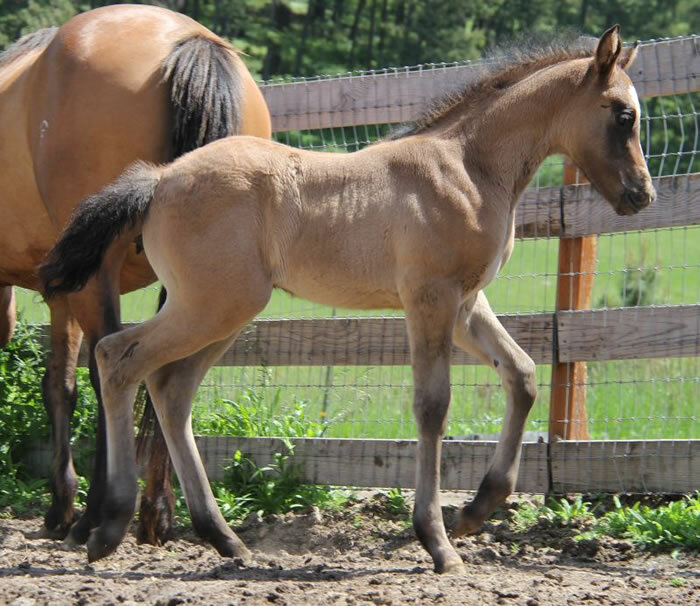 We breed for the beautiful athlete that at the end of the performance day comes home to be the family companion. 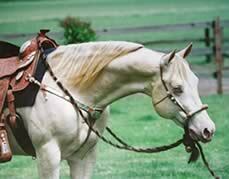 Palominos and buckskins have always had a soft spot in our hearts and there was always a palomino half Arab in the back pasture. 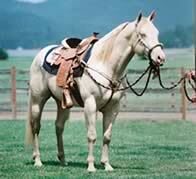 We believe that the Arabian Quarter Horse cross produces one of the most versatile horses around. 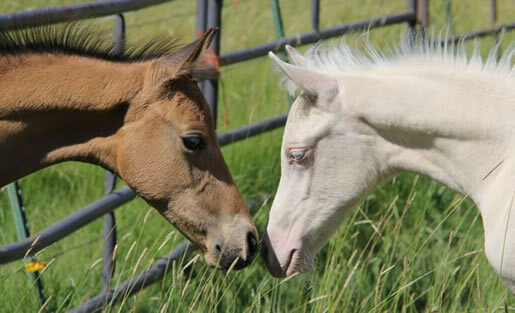 Add color on top of that and those foals come close to equine perfection in our eyes! 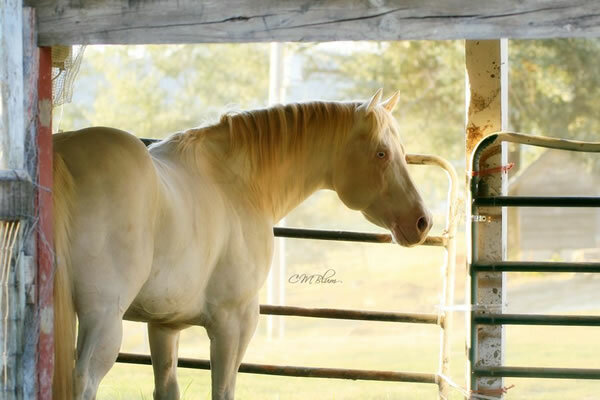 So into our lives came Commander, our perlino AQHA stallion. 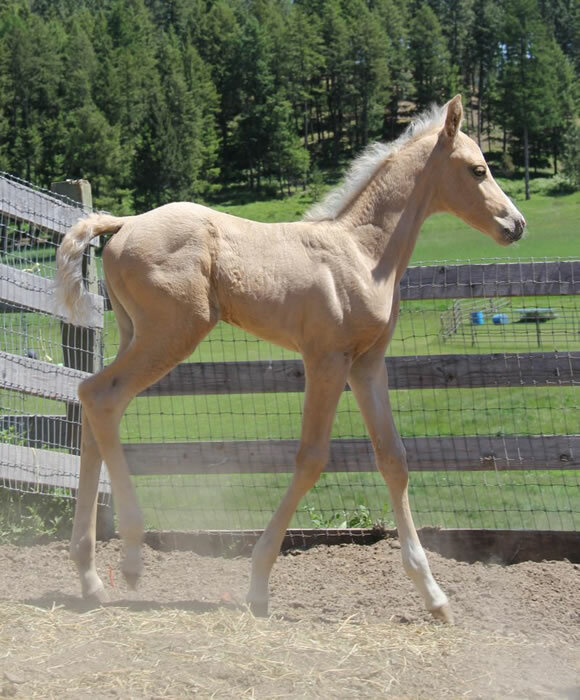 His guaranteed color producing genes and excellent conformation combined with the athletic bloodlines of our Arab race mares have been producing the foals of our dreams. 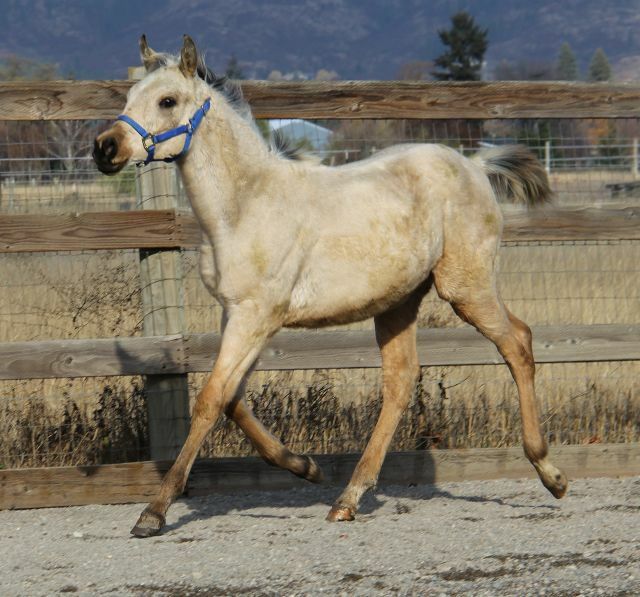 Commander’s blue eyes grew on us and several other AQHA cremello /perlino mares joined the herd. Would you like a beautiful, colored athletic of your own? 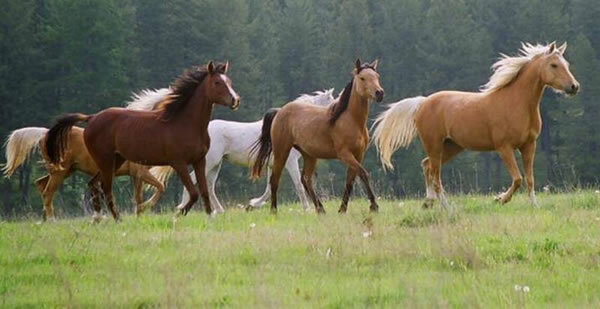 Commander has bred Arabian mares as well as AQHA, Paint, Appaloosa, and Thoroughbred mares. 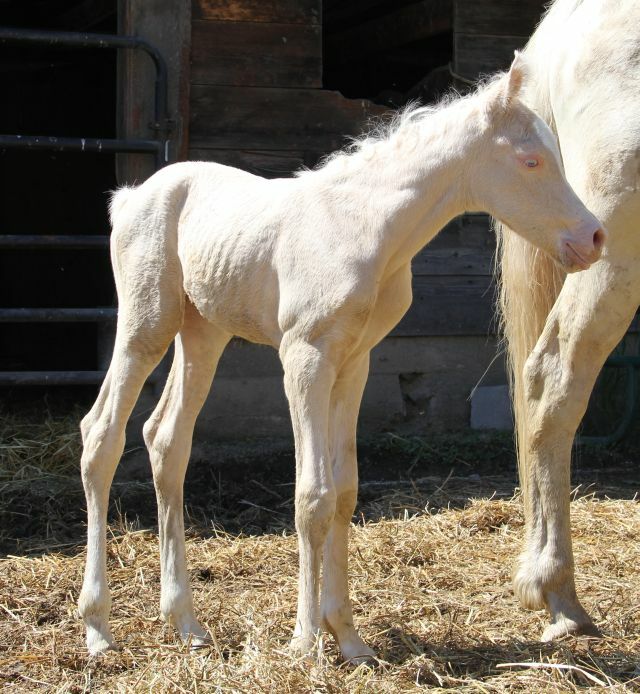 The resulting foals have been excellent. The 2 Foals in 2015 were very nice colts! Waiting now for the 2016 models! Both avaiable for purchase. See sales horses for info. The 2014 Foals were quite a group! Commander as a three year old below.